Worship – the origin of art ? I have always found places of worship to be among the most inspiring locations to photograph at. 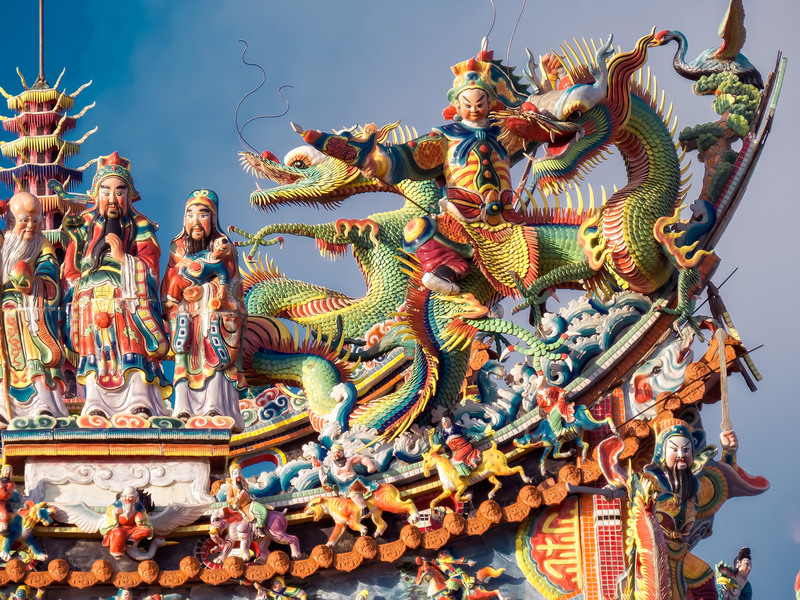 The colors, the light, and how it shines into temples and churches and the century old traditions. All these combined provide excellent photographic opportunities. I suppose a large part of the origin of art stems from the pursuit of worship. Though I have a fairly simple, probably ‘primitive’ way of looking at what constitutes art. For me ‘art’ is first and foremost the pursuit of beauty. But I don’t want to digress further into the age-old question of what art is and where it comes from..
Suffice to say: BEAUTY IS IN THE EYE OF THE BEHOLDER. I have seen my fair share of houses of worship across the globe and particularly in Asia. 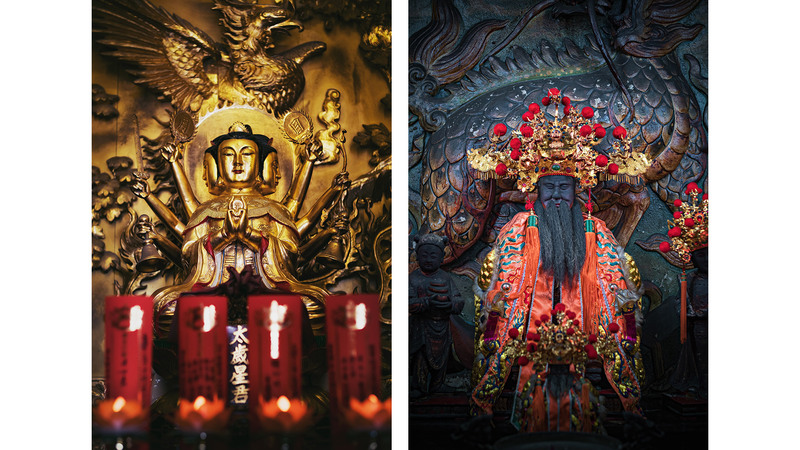 When reviewing my photographs from a recent trip to Kaoshiung I quickly realized that the countless photos I have been able to take in several temples across town deserve their own article. There were simply too many good photographs. I have to admit that I know embarrassingly little about Buddhism in general and about the distinct ‘flavor’ of Buddhism practiced in Taiwan. Why ? Because it allows me to see the artistic value more purely. Without having to put it into any religious context. 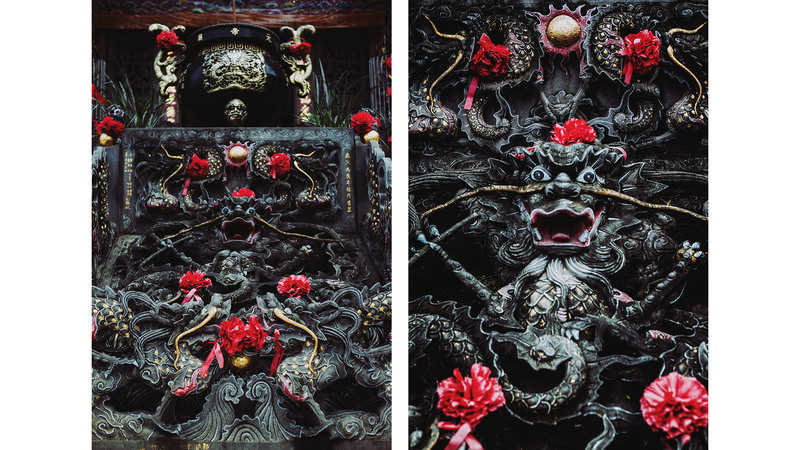 And there is so much beauty to be found in those temples I had the privilege to visit in Kaoshiung – Taiwan. 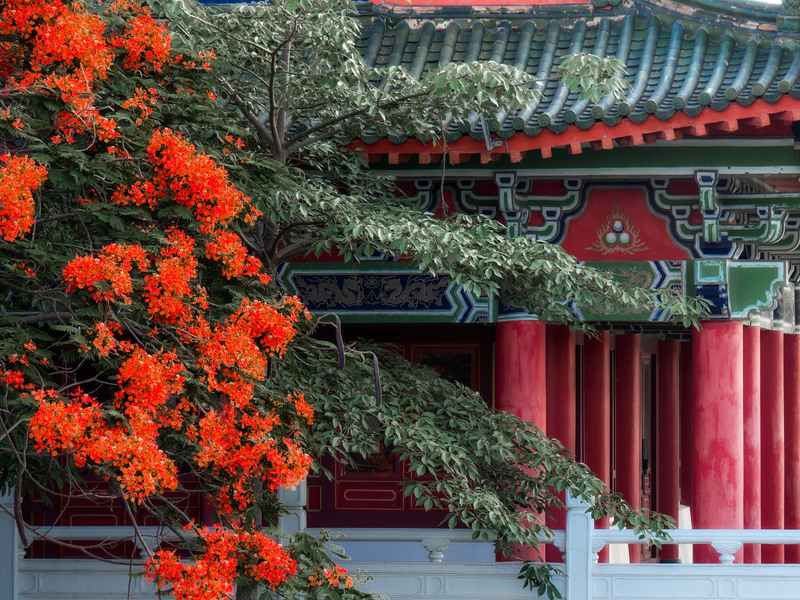 Architectural Beauty & Beauty in details ! 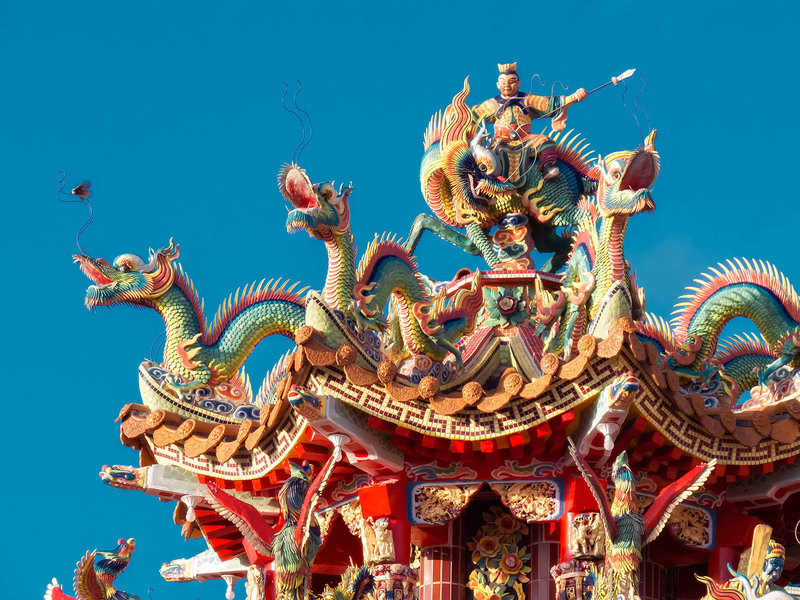 The temples I visited in Taiwan are of a distinct beauty which captivated me greatly. The attention to detail is staggering. 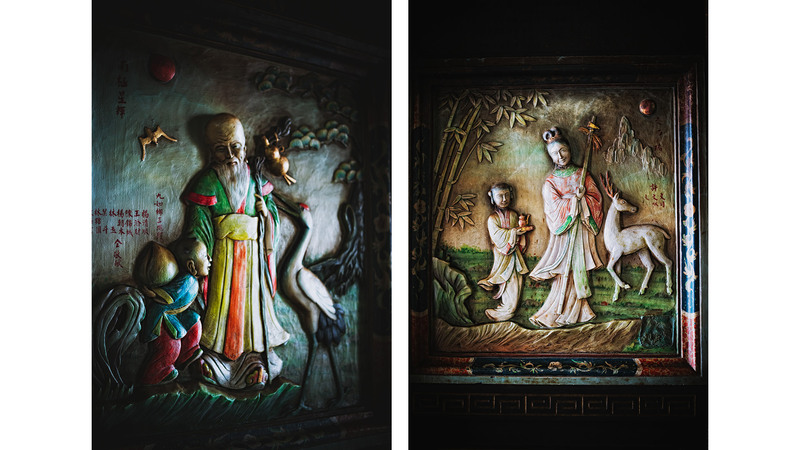 Just look at those close-up photographs I took of the ‘roof-top’ décor – for the lack of a better word. But also the inside those temples offers a lot pure beauty. A Feast for the eye !! I also completely love the details, ornaments, the figurines and all the religious paraphernalia that is to be found in those temples. Be decent and respectful ! When photographing in places of worship make sure to ask for permission to do so. Do not interfere with the pursuit of worship and in particular you may want to refrain from photographing people engaged in religious activities. Unless of course, when you have their explicit consent to do so. You may want to bring a fast lens that allows you to photograph with an aperture of 1.4 – 2.0 . Because many houses of worship are dimly lit. Sometimes you may have as little as a small candle as your light source. I am myself not so versed in HDR photography, but churches and temples can be perfectly suited for this. Dear Reader, please don’t think that I put effort and research into seeking out the most famous, well-known temples. All the photos you see here in this article were taken on only 2-3 ‘cruises’. They were taken in temples I just came across… while riding my bicycle around town. 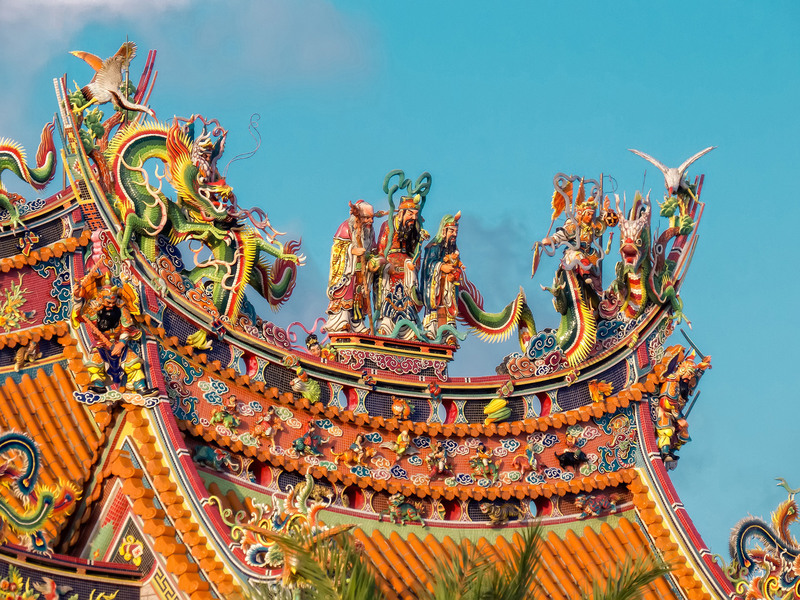 And that leads me to believe that I have yet to see much more of Taiwan’s exciting and enchanting temples. 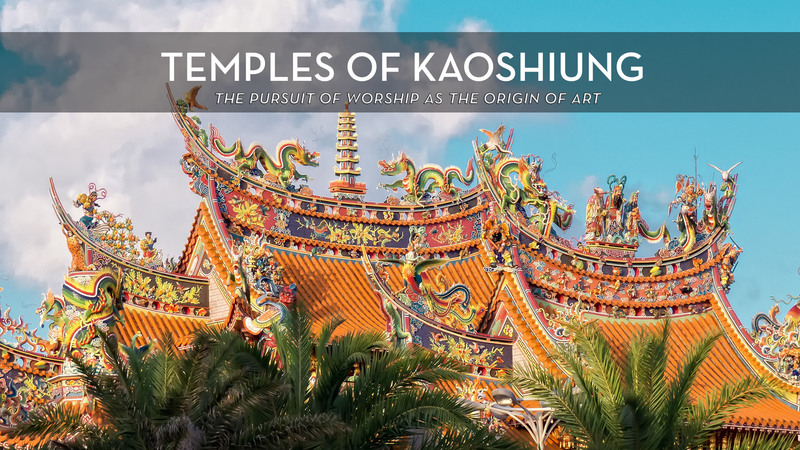 Well, so much about temples of Kaoshiung. Can’t wait to see more cities in Taiwan.